I'm Prof. Thirunavukkarasu, also known as Prof. Arassu. I've 30+years of tutoring experience in total (US & INDIA) and 14 years in US both by one-to-one in Bellevue surroundings and online in US through WYZANT CLASS ROOM. I'm also looking for passionate students to tutor and guide for their achieving 100% score in all directions in MATH, CHEMISTRY & PHYSICS and for 100% success achievement by my systematic tutoring and learning techniques. 3) Master in Organic Chemistry. I'm a confident and guiding person and my tutoring style will be motivating,inspiring and guiding to students. I look forward to helping enthusiastic and learning attitude students toreach their goals with more information. Students will find elevation in high ranking positions after my tutoring! So far I've tutored hundreds of students in USA in 14 years for school to university level in Chemistry/Math/Physics including GIFTED PROGRAMS apart from tutoring in some study centers like Bellevue College/ Shoreline Community College/ University of Washington. I strongly feel that I can tutor students to achieve their goals by my effective tutoring. My tutored students had secured undergraduate degrees with rank and have been placed in meritorious jobs like Engineering Project Manager in Apple, Candidate for M.D. at Case Western Reserve University, etc. I've been a regular, expert tutor for Algebra 1 for the past 11+ years in USA and 30+ years in total both in USA and India. I have a Bachelor's degree in Chemistry with Math and Physics as supportive subjects. I also have a Master's degree in Chemistry and Organic Chemistry. I'm a regular and expert tutor in Algebra 2. I've 11+ tutoring experience in USA and 30+ years in USA and India. So far, I've earned very good feed back from my tutored students. I've been a regular, expert tutor for Pre-algebra for the past 11+ years in USA and 30+ years in total both in USA and India. I have a Bachelor's degree in Chemistry with Math and Physics as supportive subjects. I also have a Master's degree in Chemistry and Organic Chemistry. I've earned Bachelor's degree in Chemistry with Math and Physics as Subsidiaries, Master's degree in Chemistry and another advanced Master's degree in Organic Chemistry. I've been tutoring Calculus for more than 30+ years including differential equations both in India and USA. I have Bachelor's degree in Chemistry as Major with Math and Physics as subsidiaries affiliated to University of Madras, India. My tutoring in Calculus including Differential Equations helped my tutored students secure high score in their final exams. My tutoring will also help our students. I've tutored hundreds of students in Math from school to university level for the past 11+ years, including trigonometry. I have a Master's in Chemistry and also Master's in Organic Chemistry. 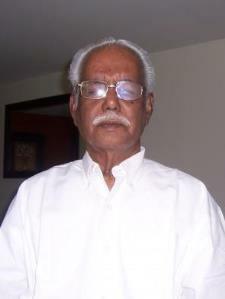 I've been tutoring Organic Chemistry for 30+ years in Organic Chemistry in India and USA.